Chief Incumbent of the Sacred Muthiyangana temple in Badulla Ven. Warakagoda Gnanarathana Thera was unanimously elected as the 22nd Mahanayake of the Asgiriya Chapter yesterday. The post of the Mahanayake Thera of the Asgiriya Chapter fell vacant following the passing away of Most Ven. Galagama Attadassi Thera and the election was held yesterday to fill this vacancy. The Karaka Sangha Sabahwa of the Asgiriya Chapter has unanimously elected Ven.Warakagoda Gnanarathana Thera on the basis of seniority. Chief Incumbent of the Sacred Muthiyangana temple in Badulla Ven.Warakagoda Gnanarathana Thera and Chief Incumbent of Solosmasthanadhipathi in Polonnaruwa Ven. Wedaruwe Upali Thera who held the posts of Anunayake Thera of the Asgiriya Chapter expressed their intent to contest the election for the post of Mahanayake Thera of Asgiriya Chapter by offering Deheth Wattiya to the member of the Karaka Maha Sangha Sabha holding the voting rights. However, Chief Incumbent of Solosmasthanadhipathi in Polonnaruwa Ven. Wedaruwe Upali Thera decided to refrain from contesting the election. Ven. 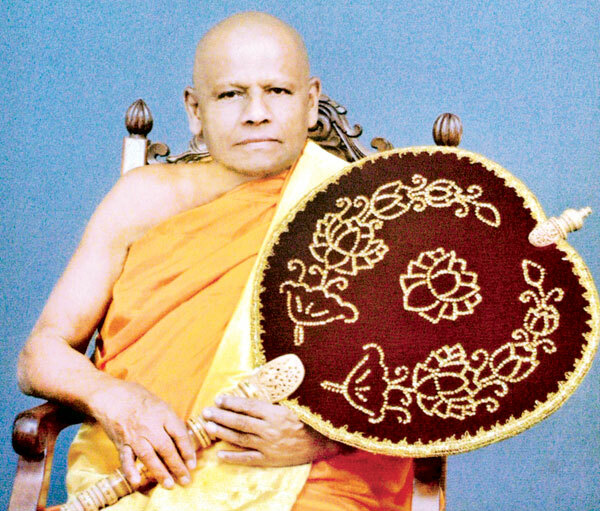 Warakagoda Gnanarathana Thera was ordained on April 07, 1955 under the tutelage of the former Mahanayake of Asgiriya Chapter Most Ven Yatawatte Dhammarathana Thera. Born on March 18, 1942, Ven Warakagoda Gnanarathana Thera received higher ordination at the Asgiriya Maha Vihara Uposathagaraya in 1962.